Aggression as Emotion: Instinct or Learned? Definition: An emotion is a subjective, important human reaction to a physical stimulus. Situations, actions, or concrete objects can have negative or positive meanings for individuals. Physiological arousal refers to the excitation of the body´s internal state. Behavioral reactions to emotion include some expressive behavior. Cognitive aspect involves an appraisal or interpretation of the situation. 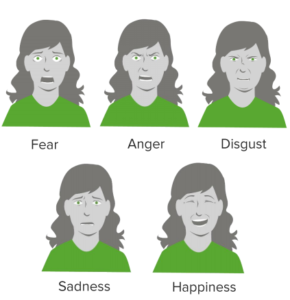 Darwin assumed that emotions had a strong biological basis. He argued that they evolved via natural selection and have universal cross-cultural expression. This has been validated and supported by preliterate cultures. There are six major universal emotions. The Yerkes-Dodson Law states that the relationship between performance and emotional arousal is a U-shaped correlation. There is an “optimal” range where arousal provides benefit, varies by individual. Emotion may enhance survival by increasing arousal and priming for quick decisions (fear, anger). Emotions can influence daily life decisions providing framework and consequences. Each emotion originates from a distinctive physiological state. Many emotional states share similar physiological patterns (i.e. fear and sexual arousal). Assumption that we possess the ability to label physiological states accurately. Physiological states can be interpreted differently based on context (i.e. anxiety vs. excitement). Physiological and cognitive responses to a stimuli occur simultaneously and independently. This then leads to a behavioral reaction. This model is able to explain the overlap in physiological states between emotions (i.e. 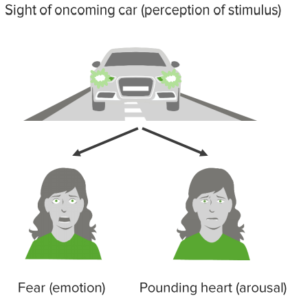 fear and sexual arousal). It is unable to explain the phenomenon in which behavioral response influences the physical and cognitive aspects of emotion (i.e. smiling leads to happiness). Physiological arousal leads to conscious cognitive interpretation based on circumstance. Emotions are classified into primary emotions and secondary emotions. Current scientific knowledge estimates the first development of primary emotions to be of genetic origin. The facial expression of basic emotions is the same across different cultures. A coding system called Facial Action Coding System (FACS) has been developed that lists the individual groups of muscles responsible for showing each emotion. 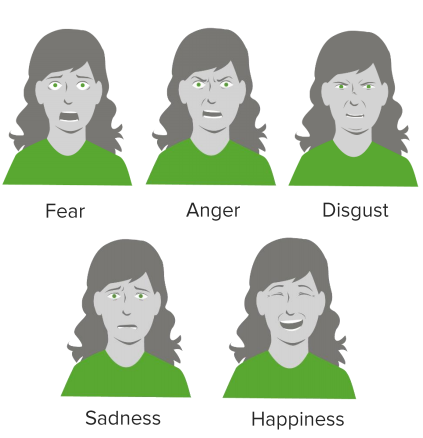 This means that for each basic emotion there is a corresponding, defined facial expression! 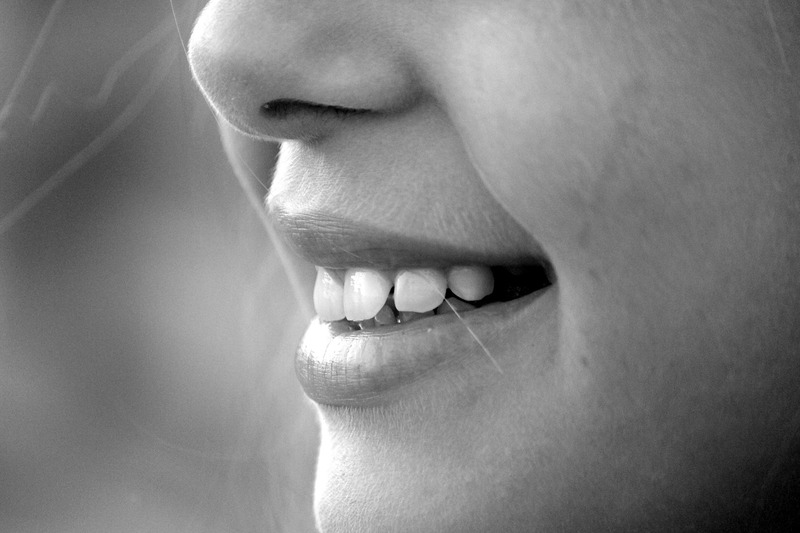 To a large extent, genetics may be responsible for the development of primary emotions. However, social and cultural influences shape the subsequent experience of emotions. A culturally specific example is the appropriateness of emotions in certain situations. Anger is either unleashed in rage or controlled. Social roles shape emotional behavior even further. Boys are for example still taught that crying is not appropriate behavior for men. Emotions can be measured by means of muscle activity. The FACS makes a classification possible. Below we will present you with the anatomically important correlates for the generation and processing of emotions. Parasympathetic and sympathetic nervous system: Control of the physiological components via catecholamines (noradrenaline and adrenaline). Frontal lobe: Lesions in this cerebral area lead to disorders of social behavior: social interaction becomes only possible in a reduced or inappropriate way. Facial expressions and gestures are also diminished by the frontal lobe (poker face). Hypothalamus and limbic system: Controls the release of hormones and neurotransmitters. (The limbic system is named after P. Broca “Ia grande lobe limbique” and is not an anatomical but a functional unit for emotion, drive, and learning.). Amygdalae: If the amygdalae are removed on both sides, fear is reduced and otherwise dangerous stimuli are no longer perceived as aversive. Without the amygdalae, there is no fight-or-flight reaction to conditioned fear stimuli. Hippocampus: Responsible for comparing expectations and actual sensory information. Mismatches are opposed by a behavior-stop-system. Without the hippocampus, vital avoidance behavior is severely impaired. Infants develop the first expressions of fear with their fear of strangers (6 months of age) and separation anxiety (8 months of age). Just like every emotion, fear in its normal manifestation is a functional emotion that warns and protects us against dangerous situations. Too much or too little fear is referred to as anxiety disorders. Affected individuals are usually extremely restricted in their quality of life and have a high subjective level of suffering. Although the complete lack of fear may be desirable at first glance, it leaves the affected person without any of the very important protective effects. Do you deal with your fear deliberately or do you repress or suppress your fear as best as possible? Sensitizers try to gather as much information as possible about the situation, the object or the circumstances that frighten them (e.g. the package information for drugs is read in great detail). Repressors try to expose themselves as little as possible to factors that trigger fear. Both behaviors are possible means to cope with fear. 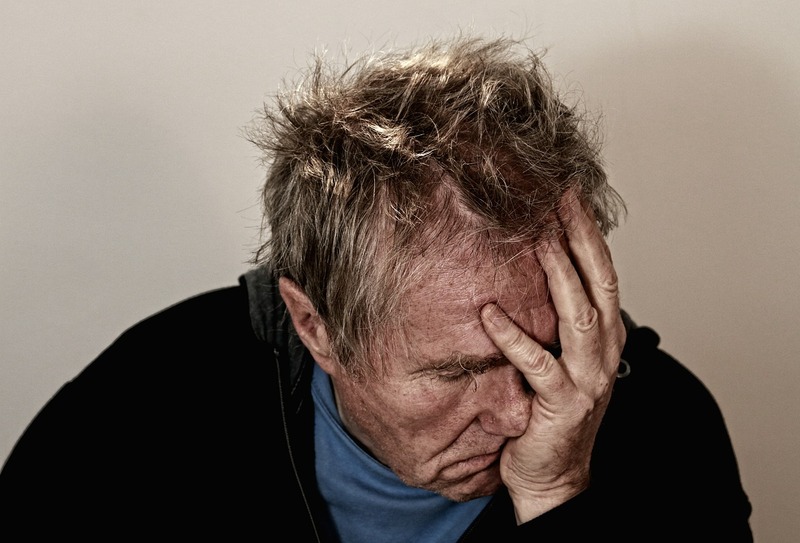 Practical advice: As a physician, you have to learn to handle both types of coping with fear. Conversations and therapies have to be customized according to the coping strategy and the patient’s wish for information (e.g. does the patient want information about every little detail of a routine surgery or does he want only basic information?). Affected individuals suffer from diffuse fear and are permanently tense, brooding, worried and full of concern about trivial things. A panic disorder is diagnosed when patients spontaneously, as if “struck by thunder” in their everyday lives, suffer from panic attacks. The affected individuals are severely impaired! Often physicians do not detect panic disorders because of the use of exclusion diagnostics only. Social phobias describe the fear of social situations in which one could disgrace oneself or be humiliated. They are characterized by a fear of being assessed negatively by others in interaction and performance situations. People suffering from agoraphobia are afraid of public places, crowds, and means of transport as well as other situations where an escape could be difficult or embarrassing. Agoraphobia has a high comorbidity with panic disorders. Obsessive-compulsive disorders are based on fear as well. Patients suffering from compulsions are afraid that terrible things are going to happen if they cannot carry out the compulsive act (“If I do not tie my shoelaces seven times my grandfather will die.”). Usually, the compulsive acts consume most of the day and impair the patient’s quality of life significantly. According to psychoanalytic theory, Thanatos, the death instinct, is responsible for aggression. Human beings are compared to “steam boilers” that build up the pressure until the pressure has to be released. Aggressive venting is a purification process (catharsis hypothesis) that reduces drive tension. It is assumed that, for example, the viewing of aggressive scenes of a film substitutes for the real release of aggression. This view contradicts the theory, that the original form of aggressive behavior is learned! Ethology interprets aggression as an animalistic instinct that serves the defense of habitat, the protection of the community, and the creation/preservation of social hierarchy. This theory is based on the assumption that aggressive behavior is acquired through theoretical learning mechanisms. Special emphasis is placed on learning from role models. The frustration-aggression hypothesis has its focus on the conditions that are responsible for the development of aggression. Frustration is experienced if an aspired goal is not reached because external factors act as obstacles. People with high frustration tolerance are better at handling restrictions on their way to achieving a goal and without having their physical and psychological wellbeing offended; hence, they do not need to release tension through aggression. Sadness, shame, disgust, rage, anger, hostility, and fear characterize the feeling of depression, an affective disorder. According to the DSM-IV, at least 4 other symptoms have to be present in addition to a loss of interest or low spirit in order for depression (unipolar disorder/major depression) to be diagnosed. If manic and depressive stages are alternating, this is referred to as bipolar disorder. Mania is characterized by extreme euphoria, hyperactivity and a lack of critical faculties. Explanatory models: How does depression develop? Besides the genetic component (especially in the case of bipolar disorders), neurochemical and environmental factors play a major role. Risk factors that contribute to the risk of developing depression are female gender, serious loss event (divorce, death of important attachment figures, loss of work, etc.) and low socio-economic status. Feeling pleasure in baking a cake for oneself and one’s partner. No motivation after separation because the positive reinforcement is missing. Even after rats were unharnessed from the electric shock plate and could have fled to the safe part of the cage, they continued to sit in the danger zone where they were exposed to pain. The subjectivity of pain differs greatly between individuals: susceptibility to pain, sensibility to pain, and the relation of pain to its cause vary to a great degree among individuals. The sensitivity to pain, which is referred to as algesia, is interrupted in the case of analgesia (medicinally through analgesics). The pain threshold defines the point beyond which a consciously perceived stimulus is perceived as painful. The point in time when a patient starts taking measures against the pain is his or her intervention threshold. The tolerance threshold is the maximum intensity of pain a person can endure (exceeding this threshold can result in loss of self-control, shock, and coma). Phantom pain is experienced in body parts that have been removed (e.g. after amputations). Phantom pains are explained by the reorganization of the sensory cortex areas. Chronic pain refers to pain that lasts longer than 6 months. Note: The experience of pain is more intense for people dealing with depression and social isolation than for aged persons and those with reduced vigilance. 1. What is the term for severe anxiety attacks that are not related to any specific situational cause and among other symptoms can be accompanied by tachycardia? …the recurring fear of being betrayed and deceived. ….situational acute states of fear with tachycardia, nausea, and cold sweat. 3. Mr. E. tells his physician that he had an encounter with a spider during his holiday in Cambodia. He had seen the spider, ran away and felt major fear afterward. Which of the following theories of emotion best explains the fear reaction of Mr. E. as result of his physiological reaction? Albin, R. S. (1983). Emotions. Philadelphia: Westminster Press. Carey, M. (1992). Emotions. Milwaukee, WI: H. Leonard Pub. Corp.
Delgado, J. M. (1969). Emotions. Dubuque, IA: W.C. Brown. McCann, T. B. (2004). Emotions. New York: Dafina Books.